Burnt weed, buttonhole, Christ's hair, deer-tongue, hart's tongue fern, hind's tongue, horse tongue and scollies. Native to Europe, northwest Africa and as far east as Iran, Korea, Japan and southeastern Russia. Reaches up to 60cm height and spread. Moderate, it will take between 5 and 10 years to reach its full height. 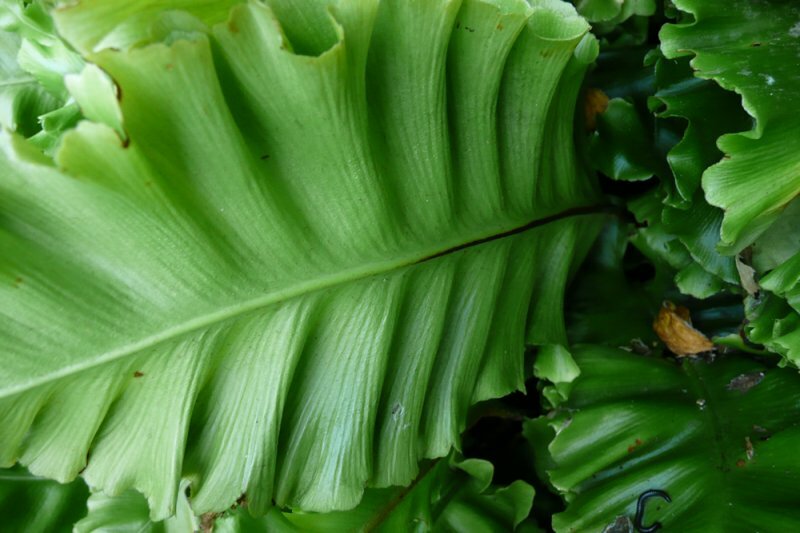 Fronds grow from a central base and remain upright. If planting in dry shade water and mulch well, particularly within its first season. It is happy in alkaline or neutral soil, but is unlikely to tolerate very acidic soils. 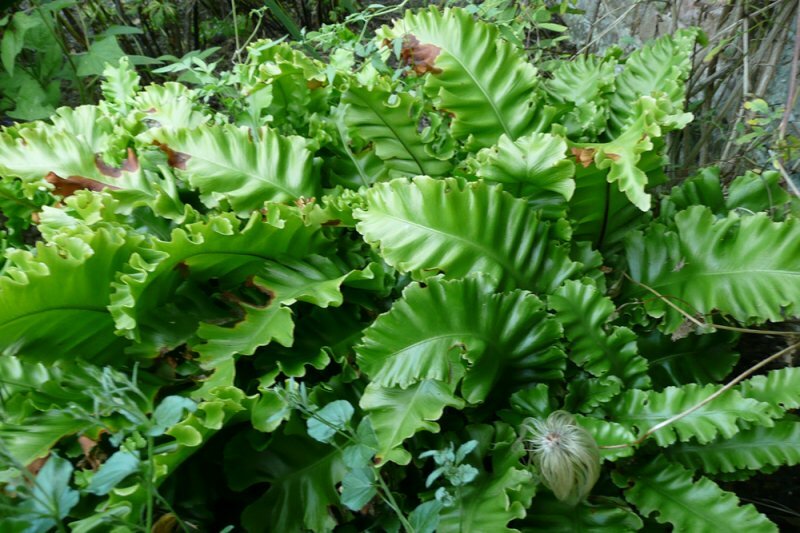 The rich green leaves erupt from the base of the plant and are wide, solid fronds with undulating margins. On the underside of the leaves spores are attached in lines across the leaf. Ideal for many shady garden locations. Works well as ground cover and underplanting in drifts under roses, shrubs and trees. Useful plant for alkaline soils. Mulch it well every spring. Requires little other attention. Remove dead or damaged fronds to the base. Sow spores in mid to late summer or divide in spring. Can be affected by rust in mild, damp winters. Has achieved the Award of Garden Merit from the Royal Horticultural Society. The plant’s name is of Greek origin. 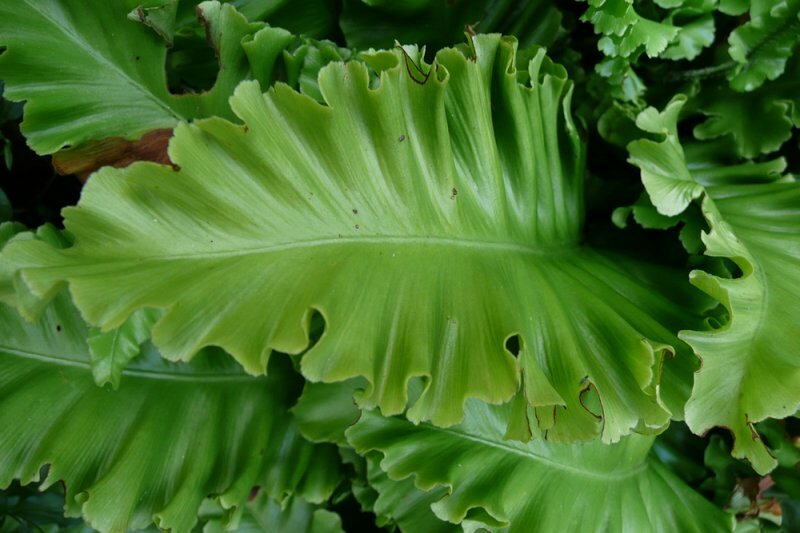 Asplenium derives from ’splen’, the Greek for spleen, alluding to the view of herbalist Dioscorides that it was an effective treatment for spleen diseases. Scolopendrium comes from the Greek for centipede or millipede, which the spores on the reverse of the fronds can be said to resemble.